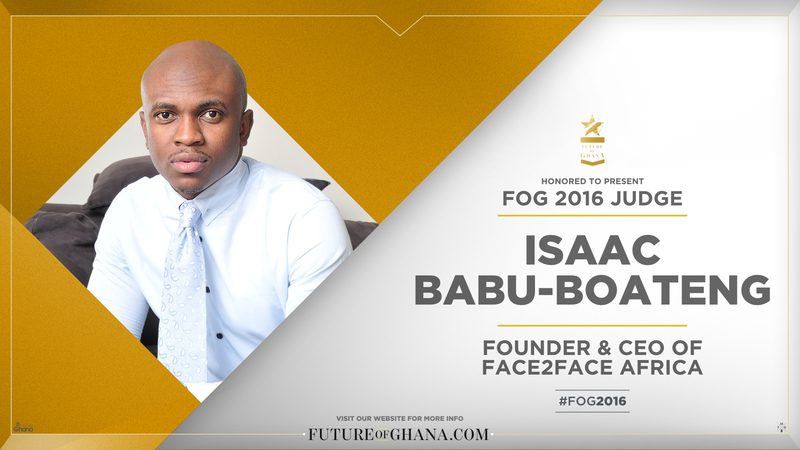 Named by Forbes Magazine as one of Africa’s Best Young Entrepreneurs Under the Age of 30, Isaac O. Babu-Boateng is one of the leading voices of the pan-African millennial generation. With an ambition matched only by a grandeur vision, Babu-Boateng is at the forefront of the mission for this generation of Africans to control the image of Africa and the rest of the world’s perception of the continent. Mr. Babu-Boateng is the founder and Chief Executive Officer of ambitious and fast growing digital media company Face2face Africa, which he founded in 2011 with no more than his own pocket savings and a strong passion for telling the African story. Today, Face2face Africa is a multi-niche media company that has created several platforms to engage the pan-African community. Mr. Babu-Boateng believes that Africa is his and every African’s calling, and deems it prudent and necessary to contribute towards a better future for the next generation. In 2015, his alma mater named him as part of 40Under40 brightest and most successful young alumni. Ethel Cofie is CEO and Founder of EDEL Technology Consulting (An IT Consulting and Digital Products Company) and Mandela Fellow for President Obama’s Young African Leaders initiative (YALI). A High caliber IT Professional with a wealth of technical and commercial skills acquired across a wide range of demanding roles and Over 12 years’ experience working in the UK, Ghana, Nigeria and Sierra Leone on projects for organizations such as the Bill and Melinda Gates Mobile Technology for Health project, the Ford Foundation’s Election Monitoring project for Nigeria and as Head of Commercial Solutions for Vodafone; conceptualizing, executing and working with teams to align Corporate strategy to IT strategy and to develop and manage creative technology solutions. She has been featured in BBC and CNN for work in technology and women leadership. Ethel is also the Founder of Women in Tech Africa, initiator of the 1st Pan African woman in tech meet up and was shortlisted for the United Nations GEM – Tech Award for work supporting women in ICT. Women in Tech Africa brings together women in over 30 countries across Africa and will be opening offices in Zambia,Nigeria,Canada, DRC and Benin in the coming months. 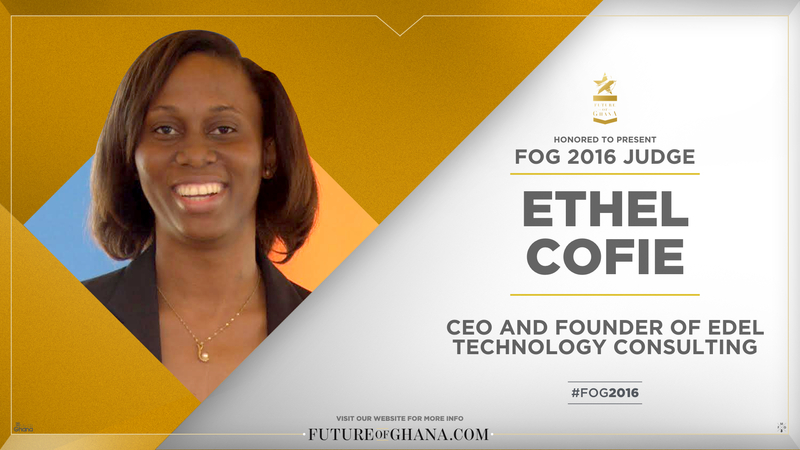 Ethel also sits on numerous boards of numerous companies in Ghana, Nigeria and South Africa . Adrien Victor Sauvage (b. 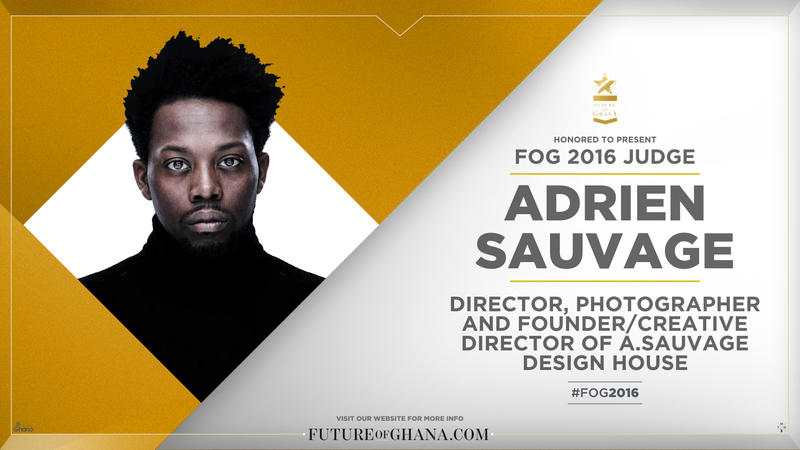 30th May 1983) is a British designer, director and photographer of Ghanaian decent. Establishing himself as a stylist and lifestyle consultant, Sauvage drew clients from society and celebrity circles and the worlds of rock, fashion, film, sports and politics. While working with these clients, Sauvage moved from styling to designing when he realised that men’s sartorial needs weren’t being met. Established in early 2010, British fashion house A.Sauvage has acquired a reputation for its understated luxury and no-nonsense approach to contemporary tailoring, applying the principles of Adrien Sauvages founding philosophy, ‘Dress Easy’ (D.E) and focusing on the changing needs of its clients, to create menswear with an emphasis on a perfect cut and casual elegance. 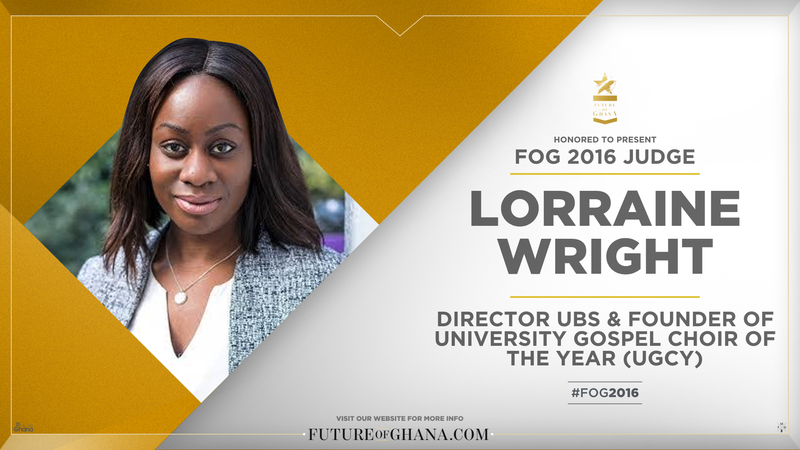 Lorraine Wright is a Director at UBS Wealth Manager and Investment bank, University of Oxford (SAID Business School) Executive MBA Student and founder of the multi award winning University Gospel Choir of the Year (UGCY) operating in both UK and Ghana. At the age of 29 she has not only rapidly climbed the career ladder but has established a televised competition celebrating the talents of university students across the country. Following her graduation from Brunel University, Lorraine went on to work in project management, working for the likes of Volkswagen head office and Accenture. Based on this and her community achievements during university, Lorraine was named as Powerful media’s top 10 Future Leaders. Not satisfied with working in the UK, Lorraine ventured to Chicago, USA to work for a distribution company managing their IT projects. Upon returning to the UK, Lorraine landed a graduate position with one of the top management consultancy firms (Accenture) where she was quickly promoted to a management consultant within a year. In her client-facing role, she was subsequently head hunted by her client at the time – UBS. Three years later Lorraine was promoted to Director whilst on a secondment in Switzerland leading one of the banks high profile and strategic group wide IT programs with a 50 million CHF budget. Lorraine runs University Gospel Choir of the Year, together with a team in the UK and in Ghana ; they seek to provide an unprecedented platform for university gospel choirs to showcase their talents on a national scale. As an undergrad, she identified a gap in the market for University Choirs that needed opportunities to perform outside of their rehearsal rooms. In 2010 Lorraine created a platform for University Choirs to perform and showcase their talents. 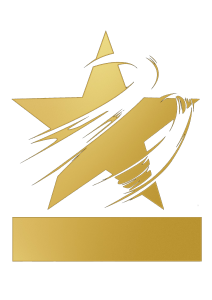 Since its creation , UGCY has held five annual competitions, celebrating the talents of 4000+ individuals, with presence at over 35 UK and 15 Ghanaian universities. The UGCY platform in the UK has offered choirs nationwide opportunities including performances at the Royal Albert Hall, backing choir opportunities for the last 4 years on Britain’s Got Talent and The X factor, features by MOBO.com, BBC, attempts to break the world record provided choirs for firms like Deloitte, PWC and KPMG, performed at the BBC Proms and frequently work with media outlets like ITV and the BBC to name but a few. If you tune into X Factor UK , you would have seen our choirs feature as the backing choirs to a number of the contestants. UGCY is aired on ABN TV in UK and Viasat 1 in Ghana. Six years on, the Multi Award Winning UGCY (University Gospel Choir of The Year) is a manifestation of a dream and more. The annual competition is a fast growing profile backed by the Mayor of London and the shadow Higher Education Minister – David Lammy. 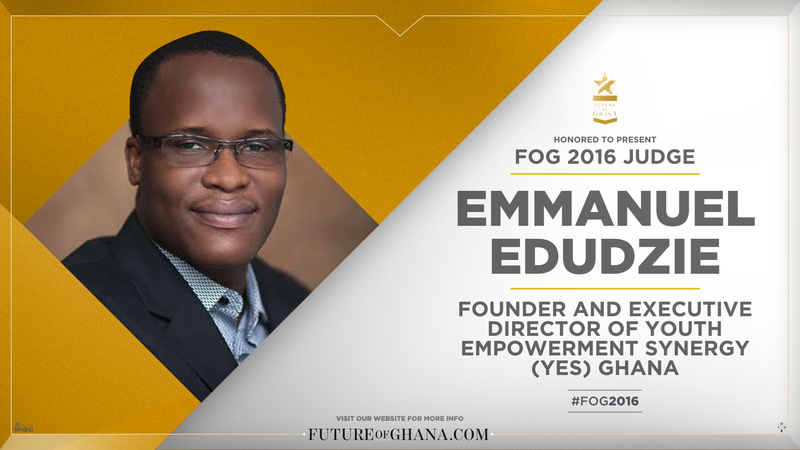 Emmanuel Edudzie is Founder and Executive Director of Youth Empowerment Synergy, Ghana’s foremost youth development organisation delivering initiatives in youth policy, practice and research with wide-reaching impact across the nation’s ten regions. A seasoned programme director, Emmanuel has more than 12 years of combined experience in both executive leadership and consulting positions with technical expertise in the areas of civil society development, youth policy and empowerment, education and employment. He is highly experienced in managing full-cycle donor-funded programmes from proposal writing to monitoring and evaluation. Over the years, Emmanuel has demonstrated success serving in an advisory capacity and providing strategic guidance on policies and programmes resulting in the improvement of development effectiveness at all levels. In Ghana, this led to an expansion in the United Nation’s engagement with civil society and allowed for more civil society participation in the creation of country strategies for achieving the Millennium Development Goals. Emmanuel is internationally educated with Bachelor’s and Master’s degrees from Ghana and a second Master’s degree from the United Kingdom. He is a published expert and recipient of awards, scholarships and fellowships from the World Bank and the United Nations. He has also travelled widely, with business visits to over 35 countries in Africa, Europe, North America and Asia.